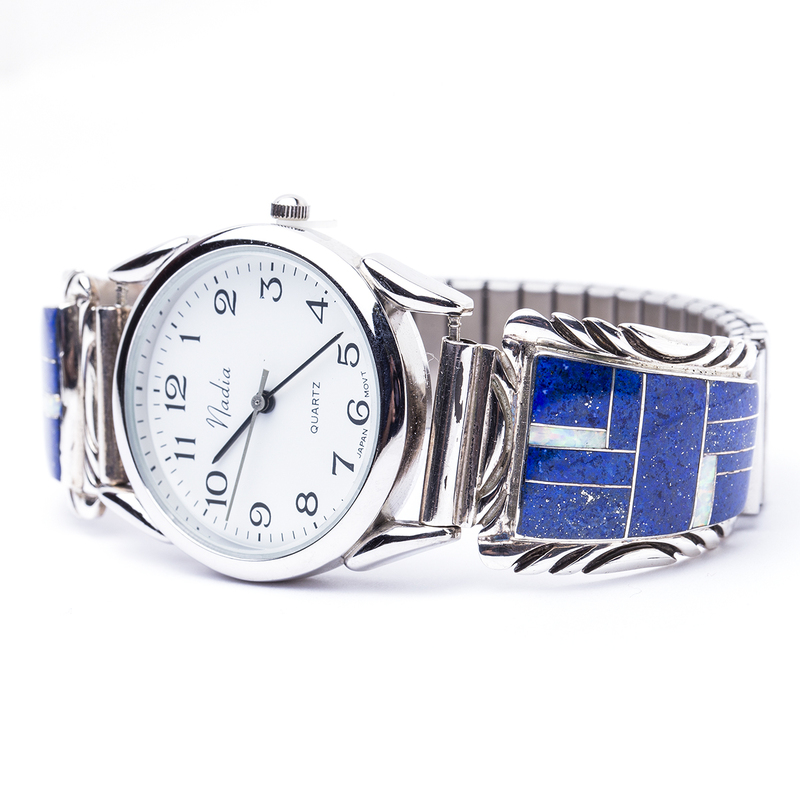 A beautifully presentation of sparkling blue Lapis inlay with subtle touches of lap Opal cover this Sterling Silver watch. 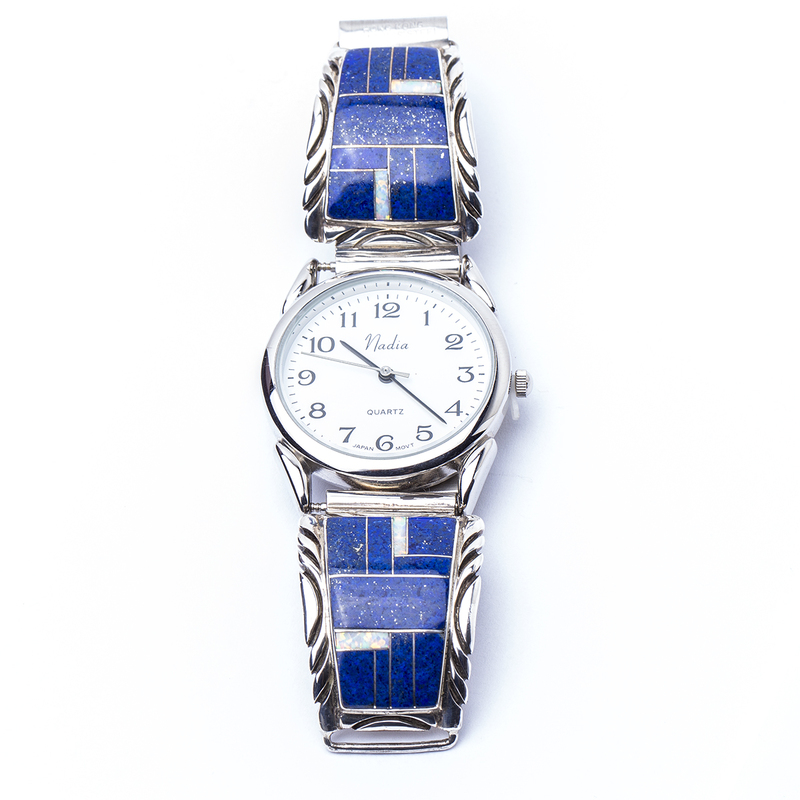 Michael Rogers spiritual relationship with nature is evident in his craftsmanship. 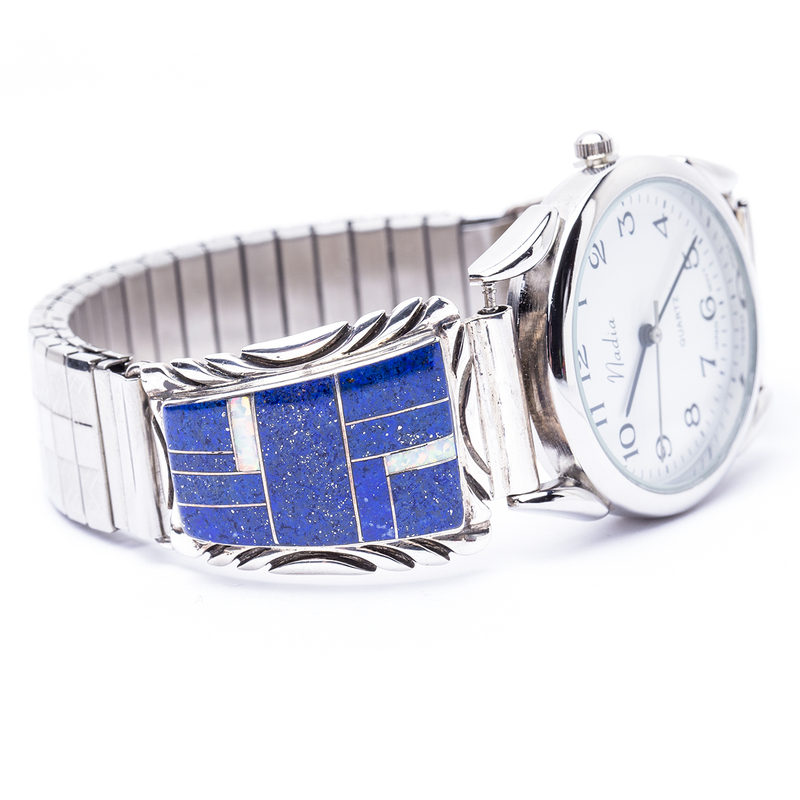 Comes with Quartz battery. 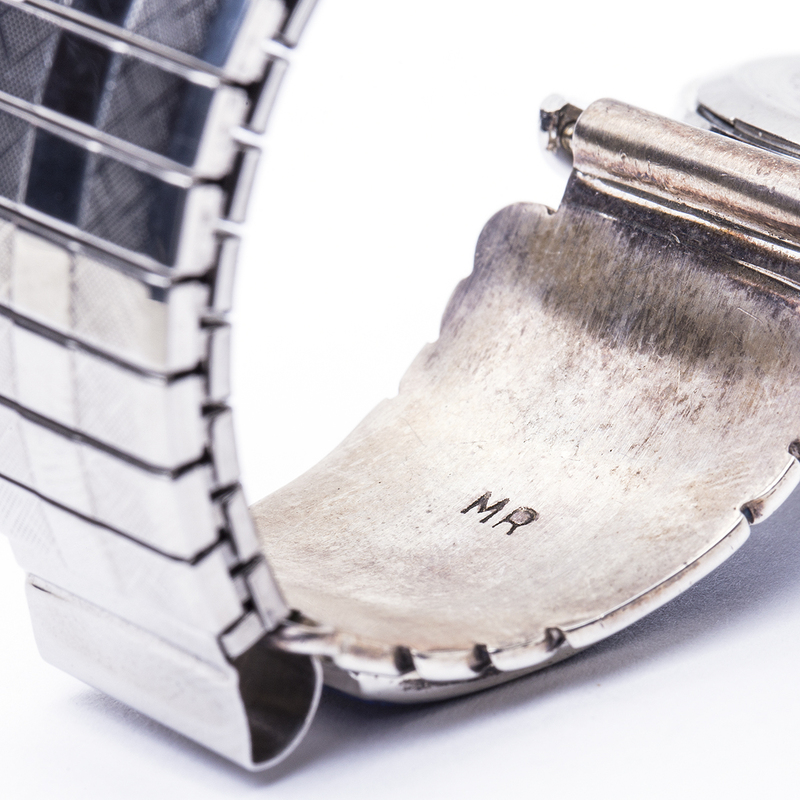 It is hallmarked “MR” and “Sterling”. 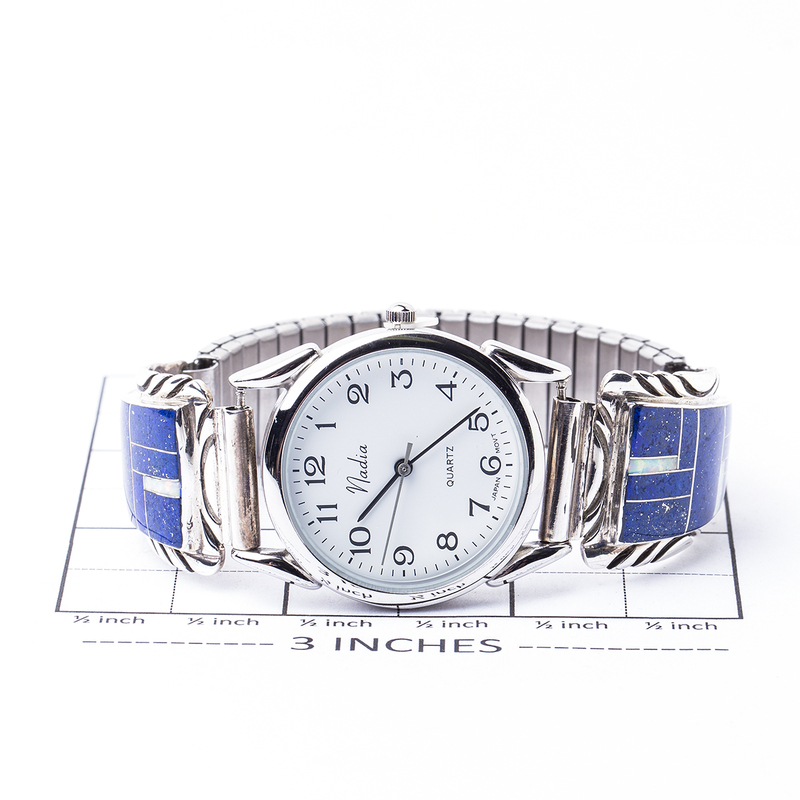 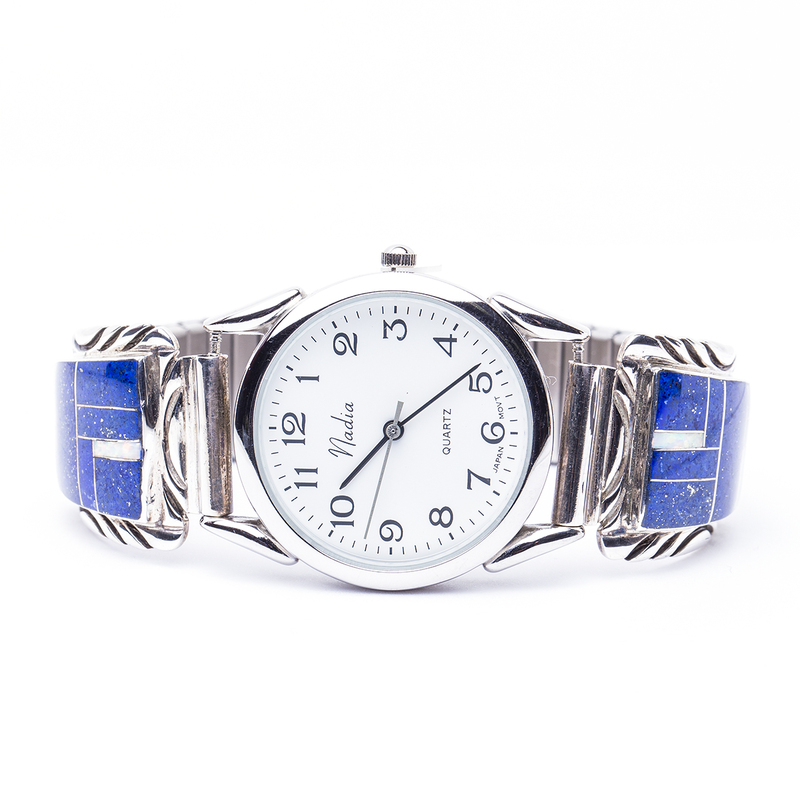 Paiute Michael R. Rogers Lapis Opal Watch Bracelet is a brilliant display of lively blue Lapis with subtle touches of vivid lab Opal and Sterling Silver.